and lead the way for other indigenous business." Creating futures through full economic participation. David Liddiard OAM has developed business partnerships with a number of mainstream experienced and reputable industry leaders who are committed to supporting Indigenous business development. The David Liddiard Group of companies are majority Aboriginal owned and operated. The gulf between Indigenous and other Australians remains wide. Indigenous Australians have much lower employment rates than other Australians. This is due to lower levels of education, training and skill levels, poorer health, living in areas with fewer labour market opportunities, higher levels of arrest and interactions with the criminal justice system, discrimination, and lower levels of job retention. Providing Indigenous Australians with the education, skills and support to find and keep meaningful work, and to build financial self-reliance, is crucial in closing the gap in Indigenous disadvantage. Our goal is for Indigenous Australians ultimately to enjoy the same standard of living as other Australians - for them to be as healthy, as long-living and as able to participate in the social and economic life of the country. For true Indigenous economic independence and prosperity equal to that of other Australians, there must be a successful Indigenous economy, with vibrant and sustainable Indigenous businesses competing in the corporate sector. 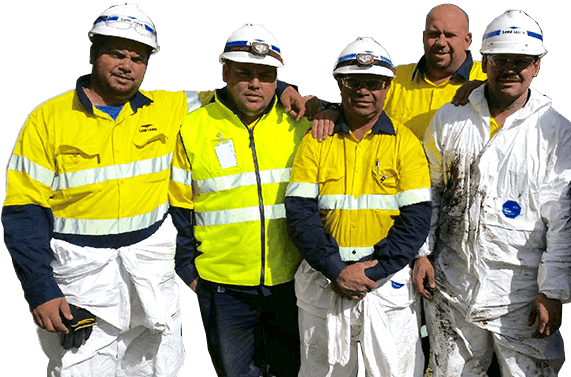 Birubi Australia management team have been involved in community relations and liaison for over thirty years providing services in site establishment, building construction, mining site rehabilitation, facility management and security and traffic management. Our programs encourage community participation and maximise opportunities for Aboriginal people to be employed on large local projects. We support the growth of local Aboriginal businesses and assist them to seek procurement opportunities. CorporateConnect.AB has long established corporate and Indigenous community partnerships. Facilitating the development of Reconciliation Action Plans, Aboriginal Participation Plans and Indigenous Opportunity Plans we are able to support corporations to deliver social responsibility outcomes and sustainable solutions and meet their targets on Indigenous participation. David Liddiard OAM has worked to support the transition of Aboriginal youth into employment for over thirty years and DLG Recruitment provides candidate screening and assessment, recruitment and labour hire services, robust retention support, workplace mentoring and access to government funding. We proudly stand behind the quality of the work we deliver and are committed to continued excellence across all of our projects. Our diversity, our shared culture and unified purpose enable us to lead economic and social change. We embrace a safety culture as fundamental to environmental health, employee wellbeing and workplace safety.